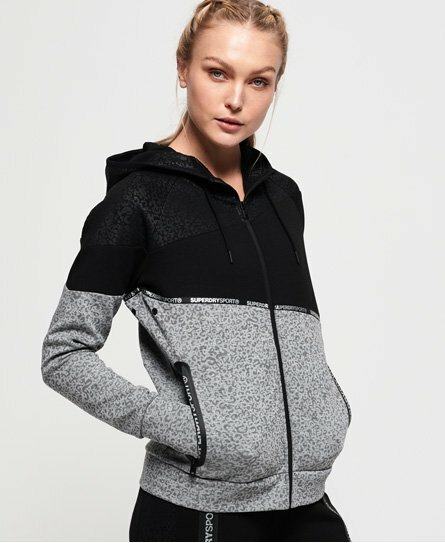 Superdry women's Core Gym Tech splice zip hoodie. This zip hoodie is a great addition to your wardrobe this season, designed with four-way stretch technology and ventilation holes under the arms. Featuring panelled detailing, adjustable drawstring hood, two zip fastened pockets and thumb holes. Finished with a Superdry logo across the pockets and reflective Superdry logo detailing across the body.